The agricultural sector in France is dotted with a whole ecosystem of public bodies and organisations who work to improve technical expertise in agriculture through research programmes, and disseminate this knowledge via advisory schemes for farmers. In the 1960s, the national chambers of agriculture (political institutions established in France to represent farmers and the rural world) monopolised the field of agricultural development. Today, they receive the majority of public funding and have been the bastion of the mainstream farmers’ union, the FNSEA. 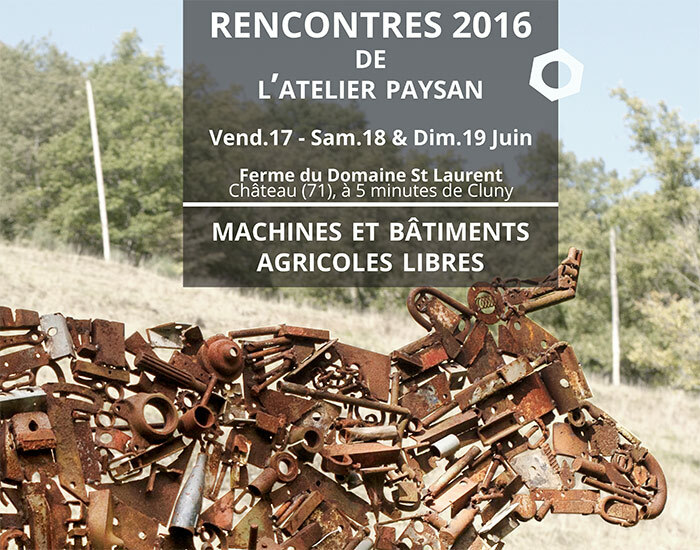 Atelier Paysan has emerged from a movement which promotes an alternative vision to the modernisation of agriculture and the development of rural areas carried out since the Second World War. Listed below are the main networks for collective action on small-scale agriculture. Together, we organise self-build training courses and facilitate groups working on specific machinery, as well as document on-farm innovations and organise demonstrations on farm open days. The national network of organic farmers is divided into regional and local delegations.  Atelier Paysan was formed by activist farmers already involved in this network. This partly explains the important place organic agriculture has in Atelier Paysan’s work. Some of the organisations in the network are members in the cooperative, for example the Network for Organic Agriculture of Ile de France (Groupement d’Agriculture Biologique d’Ile-de-France), the regional organisation “Bio Centre” and the GAB Finistère (Network for Organic Agriculture of the Finistère) in Brittany. The FNCIVAM network, like the FNAB, is made of local collectives of farmers. These collectives can have a broad remit or very specific focus (some collectives for example research mulch or covered sowings, animal draught-power, winegrowing, etc). They often focus on organic farming and promote small-scale agriculture and rural livelihoods. The FADEAR network is affiliated with the Confederation Paysanne union. This network of local and regional organisations work on the question of new entrants to farming, small-scale agriculture and self-sufficiency. They support farmers with agricultural projects which do not fit the remit requested by the chambers of agriculture. The RENETA network brings together incubator farmers and “test spaces”. These initiatives have emerged recently to allow farmers to test out their activities before establishing their own farms. We work very closely with the organisation Les Champs des Possibles in the Ile de France region (near Paris), who is member of Atelier Paysan. We are currently working together to set up a workshop recycling agricultural machinery for entrant farmers. Hippotese is an organisation promoting animal draught power, currently working with Atelier Paysan to modernise a Swiss cultivation tool. The organisation Prommata also promotes animal draught power and have developed the Kassine tool. The GRAB (Research Group on Organic Agriculture) own an experimental farm in Avignon and are part of the network for the development of organic agriculture. The organisation works on research, dissemination and training, and has a good expertise on specialised production (vegetable, fruit, wine and herb production). We have begun working together on the development of a tool adapted to the “sandwich method” for cultivation in orchards and mulching practices in vegetable production. The GRAB is also a member of the cooperative. This project, led by an agricultural college in the Alsace region, aims to design, test and evaluate innovative strategies for maintaining soil fertility in organic agriculture. These strategies are based on the practices and innovations of organic farmers working with the SOFERSOL project. The ongoing project will contribute to improving knowledge on organic farming practices and particularly on soil fertility, and will develop and innovate tools and machinery adapted to organic farming (strip-till, roller crop, etc). The Buzuk project brings together vegetable growers from the Finistère region of Brittany, people involved in agricultural education and technical advisors from GAB29 around the theme of permanent cover vegetable production and other innovative farming practices. The project started in October 2014 and in this past year, prototypes were designed to test this type of production on the participating farms. L’EPSH (Professional school of Saint-Hyacinthe) has been organising and hosting self-build training courses in Quebec since 2014. La Capé, a cooperative for local organic agriculture, is a collective of organic vegetable growers who have been promoting self-building practices in Quebec. Farm Hack is a sharing platform and an online community of DIY farmers in the US. They create and develop resources for small and medium scale farming. Land Workers Alliance is a UK based union for small and medium scale farmers. They are interested in developing adapted machinery and wish to create a Farm Hack network in the UK.